The Heat is On in Houston! MISS SAIGON opens on May 7th at the Hobby Center. This is the epic story of a young Vietnamese woman named Kim. In a bar run by a notorious character called The Engineer, Kim meets an American G.I. just before the fall of Saigon. Red Concepción, who plays The Engineer, gives us the inside scoop on MISS SAIGON. Can you tell us a bit more about “The Engineer” and his role in this story? He owns a bar called Dreamland right before fall of Saigon in Vietnam. It is in this bar that Kim and Chris meet. He is kind of like a devious manipulative wheeler-dealer but all he really wants is to survive and find a better life. He happens to have some unsavory ways of doing that. What is one thing you would want Houston subscribers to know about MISS SAIGON before it hits the Hobby Center stage? The version that is coming is direct from Broadway. 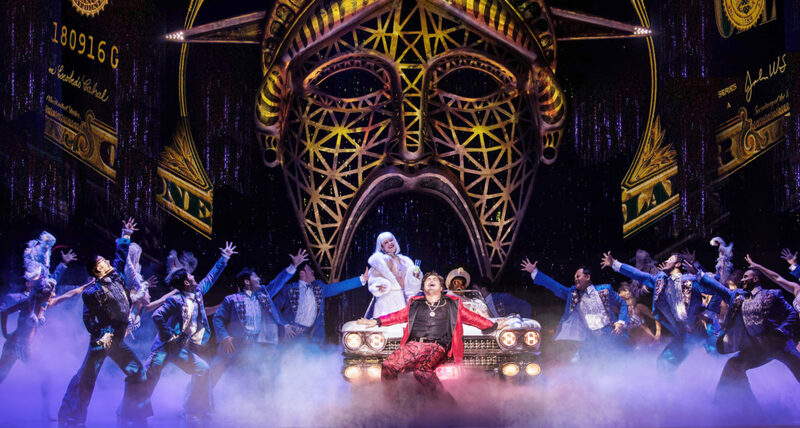 Cameron Mackintosh and his team have spared no expense in bringing this show on the road. Be prepared to be blown away. What is your favorite song or scene in the show and why? My favorite song is “I Still Believe;” it speaks about what I think is a major theme in the show: how love helps you endure even in the darkest of times. You played the role of The Engineer in both the U.K. and Ireland Tours, how does performing in the US compare? And do you find the audiences to be different or do they react in different ways to different moments in the show? For the most part, people react the same way. There is more of a connection to the show performing it here…the events that this show are inspired by are in living memory of people…there is more of a connection with it. What types of research or preparation did you do to prepare for the role? Before we even started rehearsals in UK we saw some documentaries and the rehearsal hall in the UK’s walls were covered with articles and research materials regarding the Vietnam War. We would read them in our spare moments. We do want to honor the memory of the people who went through this dark time; we want to keep it as truthful as we can while still bringing all of the spectacle. Have you ever performed in Houston before? No, this is my first time in America, my first time in Houston. I can’t wait to see what Houston has to offer…I hear the BBQ is great. My favorite thing to do in new cities is try the food. MISS SAIGON will play at the Hobby Center in Houston on May 7 – 12. Red Concepción (center as ‘The Engineer’) and the Company perform ‘American Dream’ in the North American Tour of MISS SAIGON. Photo by Matthew Murphy.